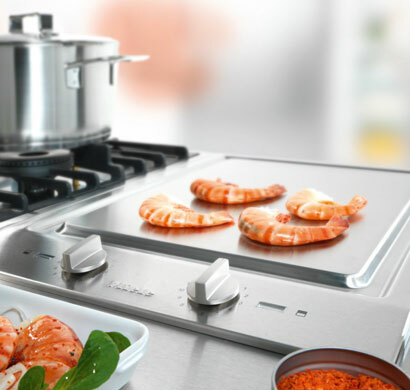 From cooking to cleaning products, anything is possible with Miele. 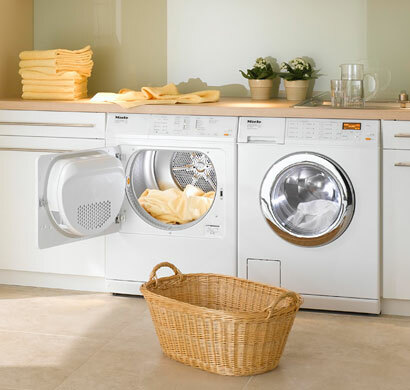 With timeless design and appliances that align in terms of form and function, there are no compromises when it comes to dependability and durability. Discover excellence in design, performance and gourmet results. We weren’t driven to create a revolutionary range; rather we were driven to create a revolutionary Miele range series – offering you complete product depth and breadth. Choose from different size and power configurations or opt for the flexibility of Miele rangetops. All complemented by a custom Miele range hood or insert hood. 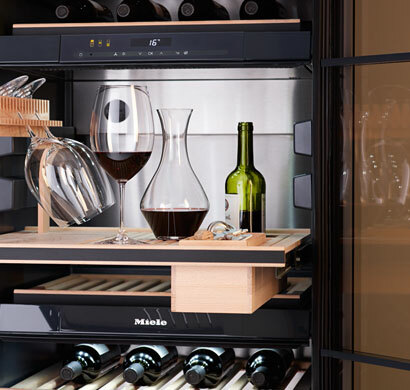 Miele offers a wide variety of refrigeration and wine storage models, all equipped with state-of-the-art technology and unique convenience. Every appliance was designed to meet the highest standards in terms of design, quality and functionality. 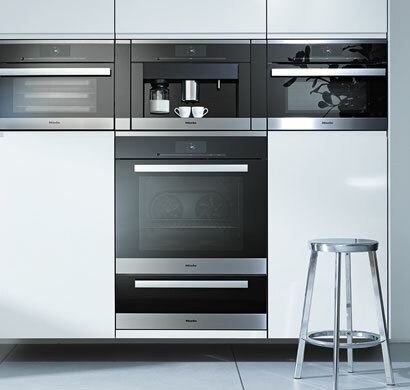 Miele‘s exceptional design stands for high-quality materials and clear lines throughout the entire appliance. The decision to purchase new cooking appliances is often the beginning of an exciting culinary journey. 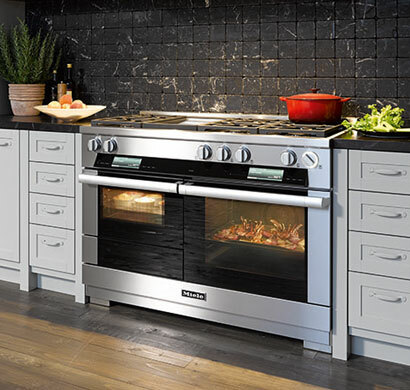 Designed for preparing quick, casual dinners and elaborate, gourmet meals, Miele’s cooktops blend easy-to-use temperature controls with unmatched versatility. Sparkling glasses not only brighten up a beautifully set table but light up host and guests‘ eyes too. 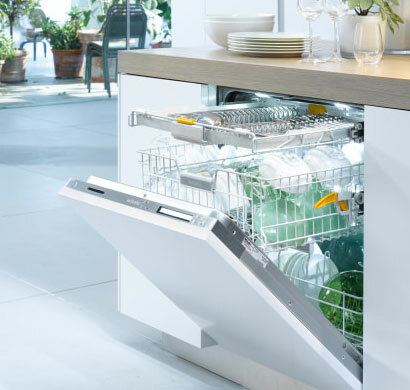 Offering the ultimate in convenience and seamless design integration, Miele provides a variety of dishwashers sure to fit any kitchen decor. Continue your journey and discover how Miele ovens can create special moments… every day. From convection ovens to steam ovens, the possibilities are endless. Achieving results fast with an innovative touch display on Miele ovens: Miele’s M Touch controls are both easy-to-operate and navigate. An intuitive swipe of the screen will quickly lead you to your desired selection. Designed to preserve colors and fabrics flawlessly, Miele laundry care system ensures that even your most delicate garments look like new after every wash. Not only does the unique Honeycomb Drum™ and MasterCare programs make washing clothes as easy and gentle as possible, they also allow you to conserve water and energy, so you‘re caring for the earth - while caring for your clothes. 'Made in Germany' means Miele embodies the sentiment that it's the finest details that make all the difference. 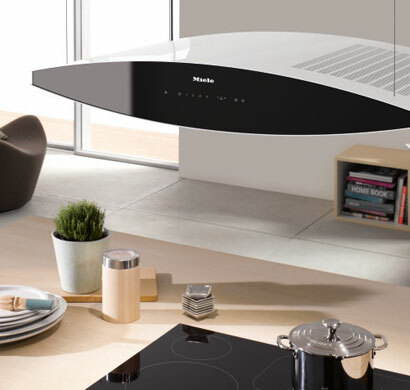 Miele offers a variety of ventilation hood designs, giving you options for your kitchen in terms of style and function. Prominent lines, hand crafted workmanship and design options make our ventilation hoods an attractive focal point in any kitchen for years to come. 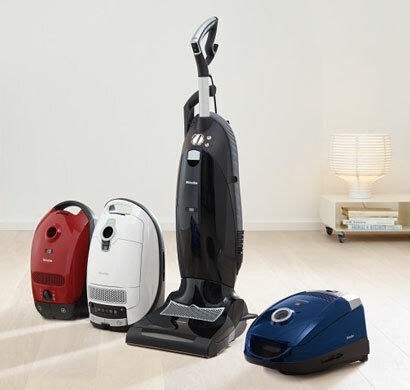 Miele vacuum cleaners offer an ideal combination of superior cleaning performance, ease of use, outstanding filtration standards and first-class quality. Miele vacuums are tested to last for up to 20 years’ average usage – each day delivering the same great performance. Designed and manufactured to suit your needs and preferences, there is a Miele vacuum perfect for any home. Do you enjoy relaxing while drinking a cup of espresso, coffee, cappuccino or latte macchiato? 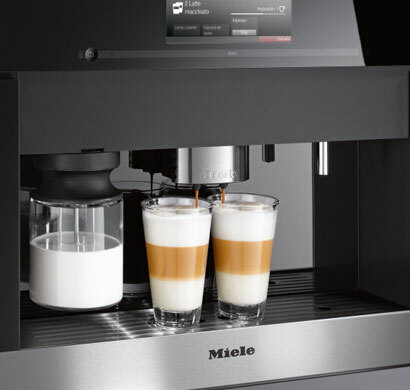 With Miele’s easy-to-maintain coffee systems, your favorite coffees, lattes and cappuccinos are always served at the precise temperature and with no more than the push of a button. So whether you’re leaving for work or relaxing after a meal, you can always find time to soothe your senses.